Contact us and book a complimentary and no - obligation consultation with one of our Professional Wedding & event Planners. We like to find out more about your ideas and the vision you have for your wedding day to know exactly how we can assist you. Planning a wedding / event can be very overwhelming for different reasons. Trying to fit it all with a daily routine, as work, young children, living abroad, or any other reason can be exhausting. 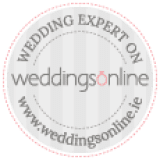 Having a wedding planner to assist you with your special day is nowadays no longer a luxury but a benefit as we can assure that you enjoy each moment. We will work on the wedding concept & design and help you to create your dream wedding/event. Each Algarve Event wedding is as unique as you are, so we ensure a bespoke service, forecast costs with no hidden surprises & ensure we find the perfect supplier for you. We will guide you every step of the way, from the moment you book us until the end of your special day! Taelor is professionally trained and has vast experience in the event industry. Taelor has worked for many different clients across the globe and has specialist knowledge in variety of event fields. Before joining Algarve Events, Taelor worked as an Event Planner in the Luxury hotel and tourist industry here in the Algarve. She is American and has lived in Portugal for the last 15 years. Her knowledge of the local area and the Portuguese language enables her to facilitate the coordination process for clients. Her artistic flair, warm and accommodating personality along with excellence, expertise and attention to detail. With a great ability to interpret and develop clients ideas and thoughts, collaborating with them to create a completely personalised wedding. "I strive to bring that cutting edge experience to each of my clients". Why do I love wedding and event planning? Because I love to see the couple’s personality to shine through on the wedding day by everything planned to the last detail. From initial ideas to flawless organisation, I adore to bring ideas to life providing the support and guidance to create timeless and memorable events. I have been fortunate enough to plan and coordinate many weddings and events having the know-how to offer each couple a calm, effective and personal approach. I like to offer a bespoke wedding and event planning service. I manage each event with care and have a keen eye to detail to ensure that each event reflects the couple’s personality. I love to see everything coming to life with the coordination on the day of the event ensuring that each vision is perfectly executed while you sit back, relax and enjoy. With OUR TEAM you will get a balanced planning service that will ensure that your event is a complete success!